Using our services is a great way for individuals with mental illnesses, learning or physical disabilities to get out and about and into the wider Hampshire community. This maybe for vocational reasons, to assist with arranging and meeting important appointments, to participate in and support with social activities/hobbies or for just relaxing and having some fun! Having the knowledge that our trained support workers are available to visit your home, and if required assist with transport to and from locations can give you the peace of mind you deserve. We have staff that can participate and support with many of the local areas leisure activities. 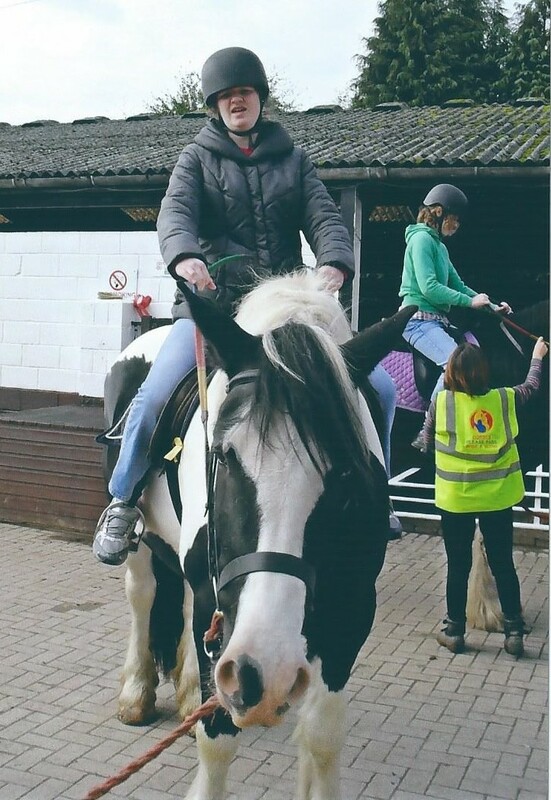 For example we have clients that regularly use a local horse riding school (a horse riding school specialised in helping adults with learning difficulties). We also support clients to the local Way Ahead service which is a unique day service for people with learning difficulties. Our staff support clients with a number of other leisure activities including Swimming at our local Rapids complex based in Romsey. Going out shopping and to the cinema, going for short/long walks etc. We also organise regular day trips out with individuals and groups. For example we have clients that are members of the Paultons Park theme park. Please feel free to Contact Us with your individual requirements/activity needs and we will try to accommodate those needs within our care planning and risk analysis. We have already helped many adults with learning and physical disabilities to fulfil their desires to access the wide range of day centres and occupational creative venues throughout the local Hampshire area. We have links to a wide range of colleges and bespoke services specialised in helping vulnerable people. For example Sparsholt College is a local college that provides a wide range of Animal welfare and Agricultural courses. Eastleigh and Southampton College provide a wide range of curriculum and life skill courses geared towards helping young adults with learning difficulties. We actively seek new avenues in order to provide our clients with a wide range of opportunities. This can include activities on a one-to-one basis or as group activities. For example recently we have organised voluntary work at the Broadlands Estate, this has given a great opportunity for our clients to work inside the estates beautiful gardens, to work outdoors helping with clearing woodland and maintaining the estates grounds. We hope to soon expand this relationship with Broadlands to also provide opportunities for clients to help with animal husbandry. All activities are supported by creative care-planning processes that identifies associated risks that can be marginalised and redesigned to meet individual needs, capabilities and desires. By using the intrinsic values and concepts of care planning, practical and achievable objectives are employed through a wide and diverse range of activities. They are designed to develop social networking skills in the local and wider community. In essence, having fun gels all of our provisions together. Through our aims and purpose, holistic and transitional development is comparable with a wide range of choices. There aims are to promote a greater success rate by meeting the needs and aspirations of a wide range of vulnerable people, regardless of religion, creed, ethnicity, sexual persuasion and dietary preferences. We have in-house activities to compliment social peer group inclusion and social interaction such as arts and crafts, as well as games that involve tactile and cognitive exercise. Above all our staff our the ‘back-bone’ of our wide ranging remit to development and sustain professional care services to a wide and ranging population that require and wish to engage in our services.